Coaching legend Roy Masters says fewer penalties in 2019 has benefited the clinical teams rather than the sides that play more ad-lib rugby league. “The Broncos were predicted to be the team most likely to capitalise on the Annesley revolution,” Masters wrote for The Sydney Morning Herald. 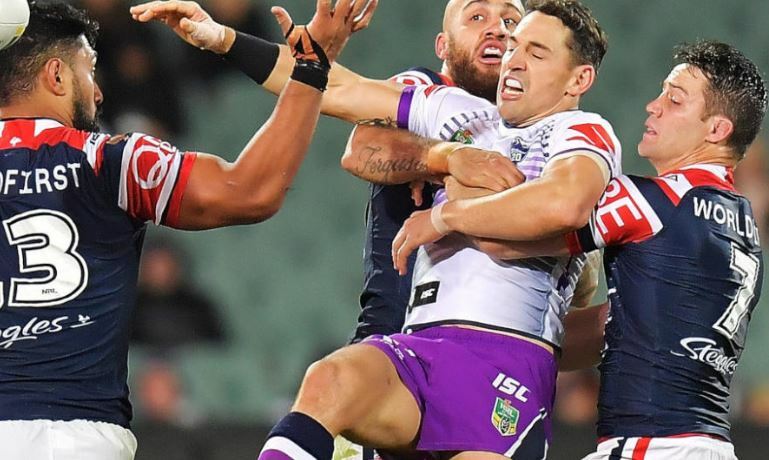 Masters says we should expect a tight finish in this Friday night’s AAMI Park grand final re-match. Both the Storm and Roosters are 5-0 to start the year with Cooper Cronk returning to the Victorian capital for the first time as a Rooster.